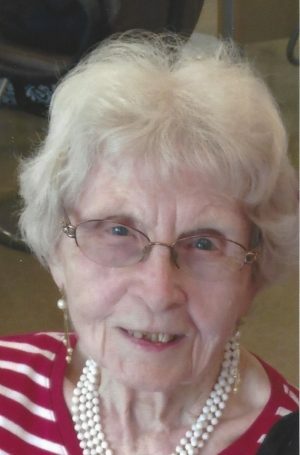 FULTON, NY – Claudia N. Drake, 98, of Fulton, passed away at home on Monday October 8, 2018, surrounded by her loving family. A Fulton native, she was born to the late Charles and Maude Andrews and retired from Woolworth’s in Fulton after 20 years. Claudia was very independent and always active. She loved dancing, her cats, keeping a clean house and being “Grandma” to everyone. Claudia enjoyed traveling with her late husband, Clifford, which started when she traveled with him during World War II to the various areas he was stationed. In addition to her parents and husband, she was predeceased by nine siblings. Claudia will be greatly missed by her children, Linda Scott, Gary Frederick (Elaine) Drake; Roxanne (Michael) Muniz; Tammy (Chris) Waloven and Richard Charles (Danna) Drake; grandchildren, Alexander Muniz, Norene (Eric) Marlowe, Daniel Muniz, Michelle Muniz, Casandra Waloven, Robert Waloven, Lindsey (Jeremiah) Richards and Brian Casey Pierce; great-grandchildren, Julian Clifford Marlowe and Claudia Eydth Marlowe; siblings, Barbara Guynn, Harriet Mahar and Leo Andrews; and her four cats. A graveside service at Mount Adnah Cemetery will be held at a later date. In lieu of flowers, donation are encouraged to Friends of Oswego County Hospice, PO Box 102, Oswego, NY 13126-0102. Foster Funeral Home, Fulton, has care of arrangements. Tammy , I’m so sorry to hear of your mothers passing . My thoughts and prayers are for all of you . May God grant you peace during you time of mourning .